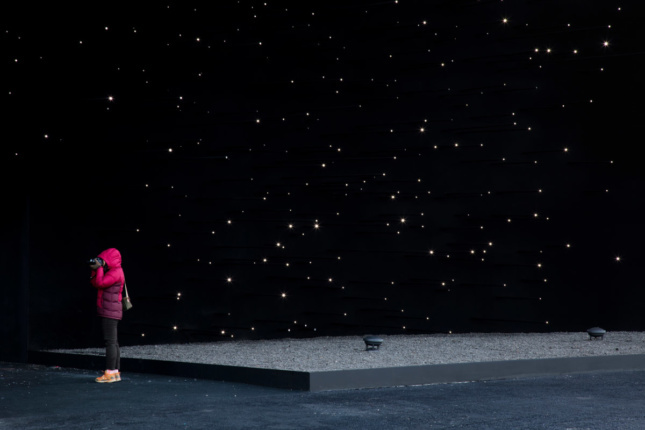 As excitement around the 2018 Winter Olympics in South Korea builds for the February 9th opening ceremony, London-based architecture firm Asif Khan Ltd. has revealed a pitch-black pavilion sponsored by Hyundai Motor. 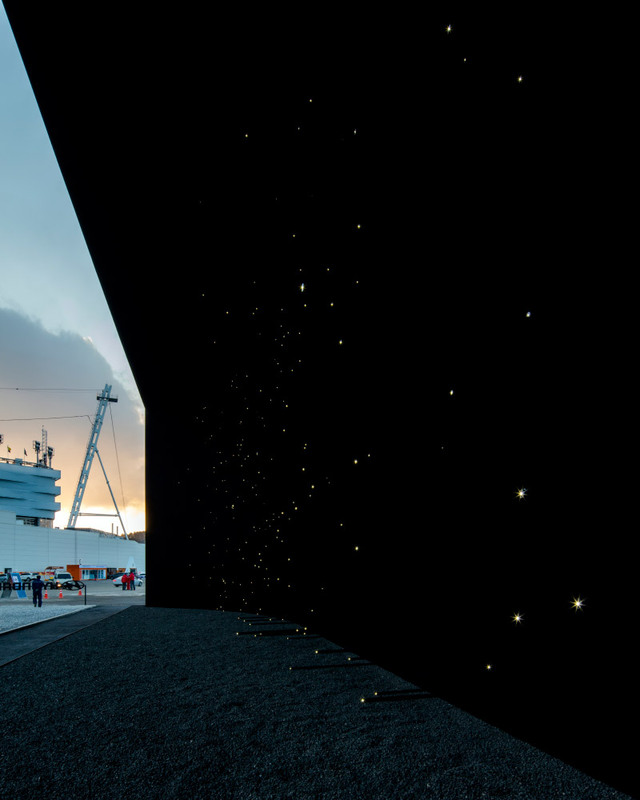 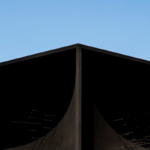 Coated in Vantablack VBx2, the world’s blackest black paint, the exterior of the parabolic pavilion is lit with thousands of point lights and resembles a field of floating stars. 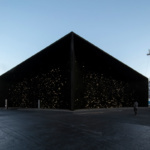 Vantablack’s impenetrable darkness is based in its structure, as the paint is made of tangled carbon nanotubes that trap light on a microscopic level. 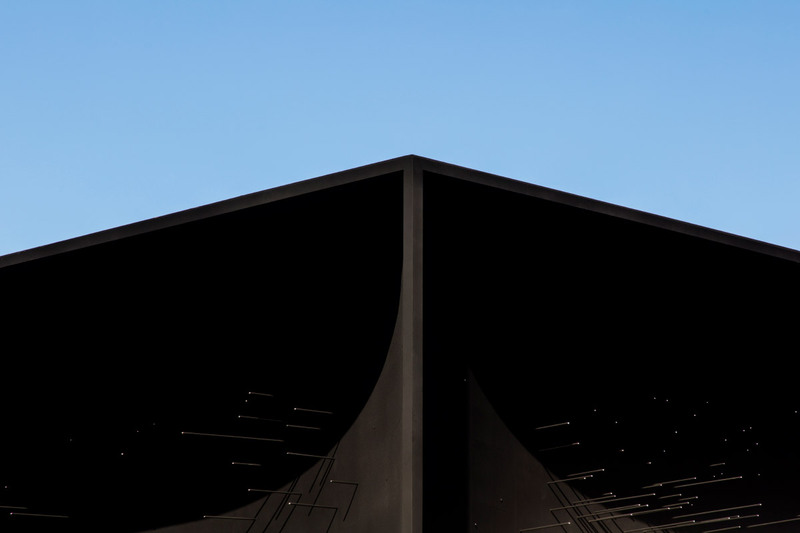 At 32 feet tall and 114 feet long on all four sides, the monolithic Hyundai Pavilion is the largest continuous nanostructure in history. 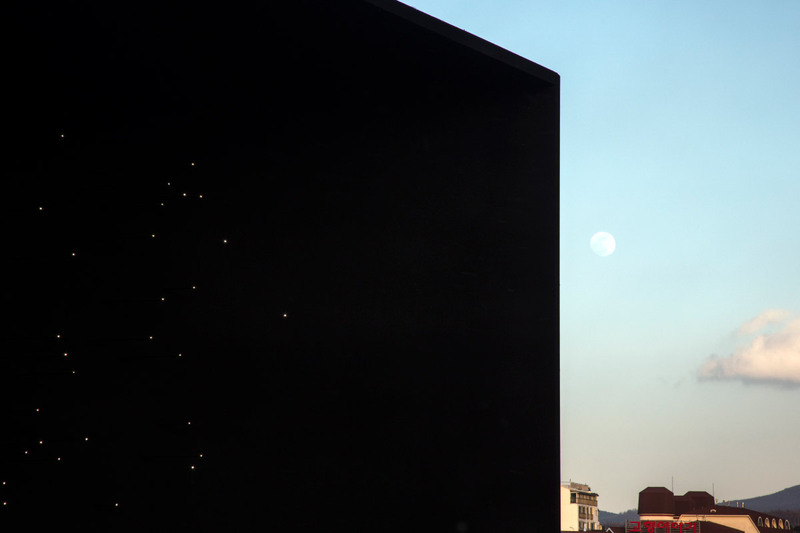 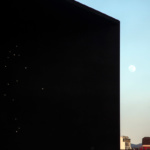 It also represents the first architectural application of Vantablack. 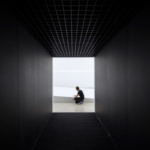 While the original iteration of Vantablack paint was so fragile that it could only be installed under laboratory conditions, VBx2 suspends the coating in a spray solution and can be directly applied. 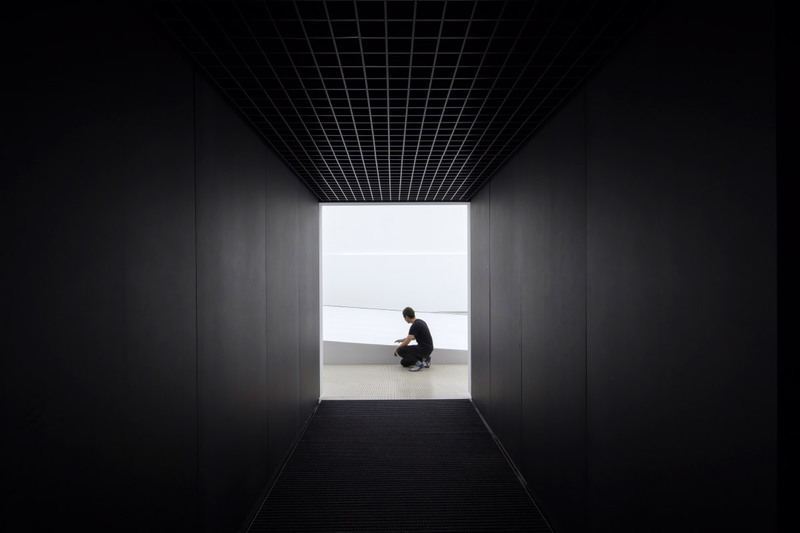 The resultant structure, though the walls are curved inwards, has been seemingly rendered as a flat void and stripped of its volume; inside the effect couldn’t be more different. 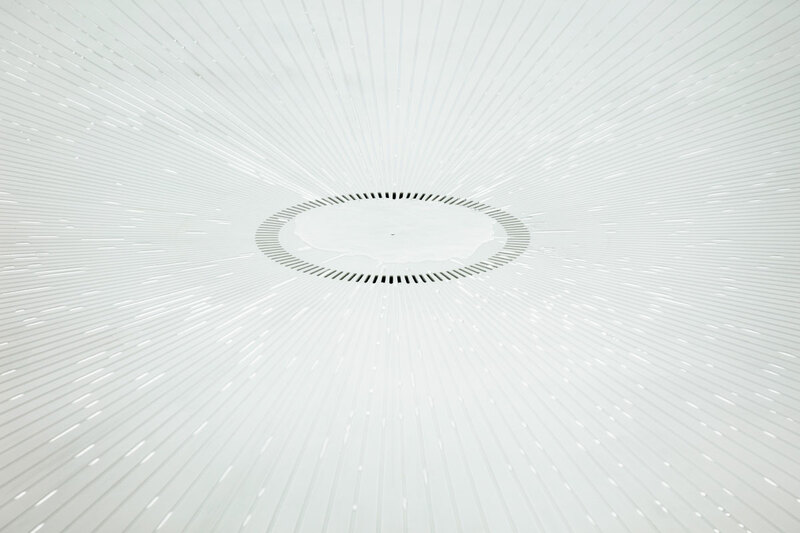 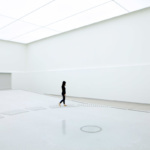 Playing on the theme of hydrogen, in reference to Hyundai’s foray into fuel cell-powered vehicles, the interior of the pavilion is a stark white and anchored by an interactive water installation. 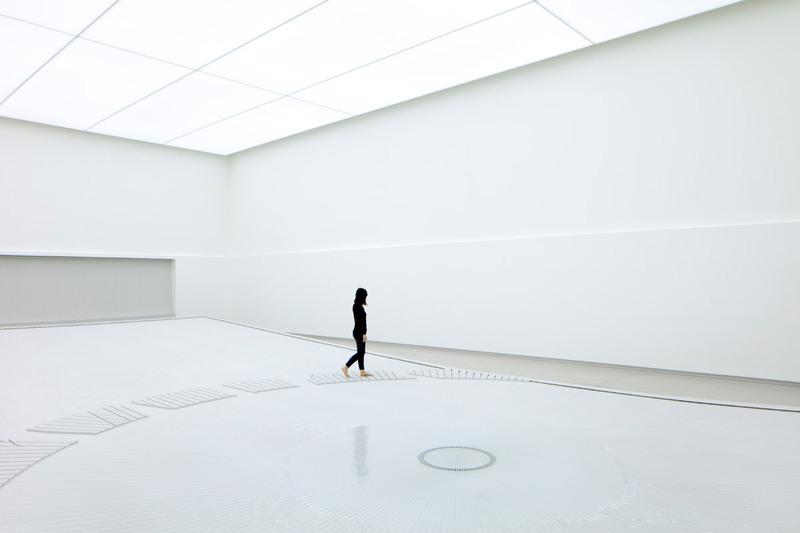 As visitors walk around the interior, water drops are elongated as they flow through channels carved into the floor and pool at a central drain. 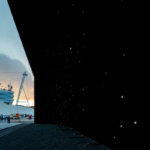 The usage of Vantablack has been a contentious topic in the short five years it’s been around. 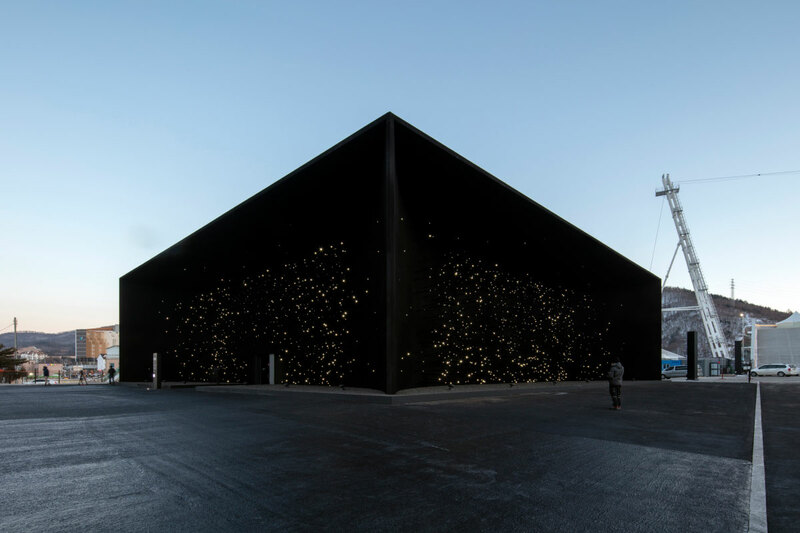 While Anish Kapoor made headlines after claiming the exclusive rights to the pigment’s use, Asif Khan has been working closely with the researchers behind Vantablack since 2013 and has previously proposed using it for a variety of projects. 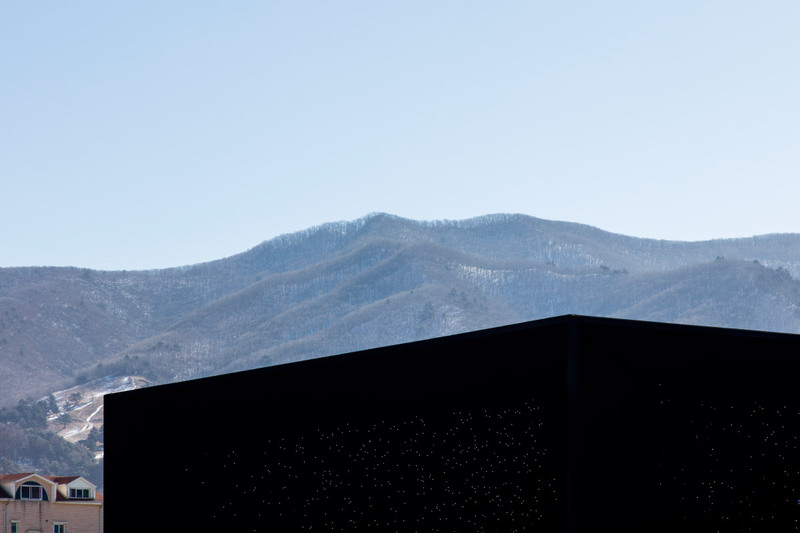 The Hyundai Pavilion will open to the public alongside the Olympics on February 9, in Pyeongchang.